Geo.tv – Pakistan will play five one-day internationals and a lone T20I against England in England before the ICC Cricket World Cup 2019. Pakistan will play five one-day internationals and a lone T20I against England in England before the ICC Cricket World Cup 2019. According to the schedule announced by England and Wales Cricket Board on Thursday, Pakistan will be England’s first opponents of the home international season next year with the tour featuring five ODIs and a T20I, as both countries prepare for the World Cup which starts on May 30, 2019. 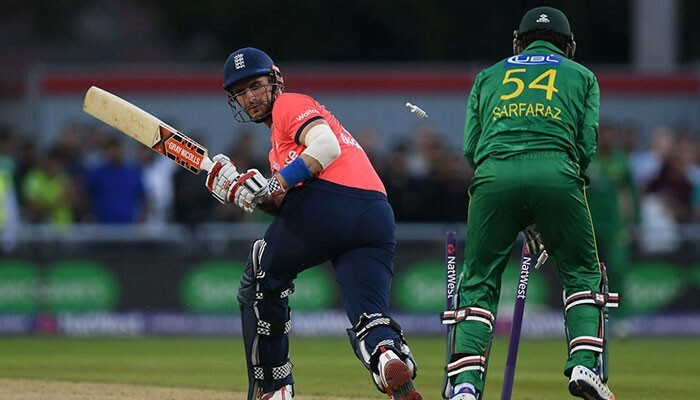 Pakistan will start the England tour with a Twenty20 international on May 5, 2019, which will be played at Sophia Gardens, Cardiff. The T20I will be followed by five one-dayers to be played between May 8 to 19. The series will provide Pakistan team an opportunity to gel in with conditions in United Kingdom ahead of the World Cup.